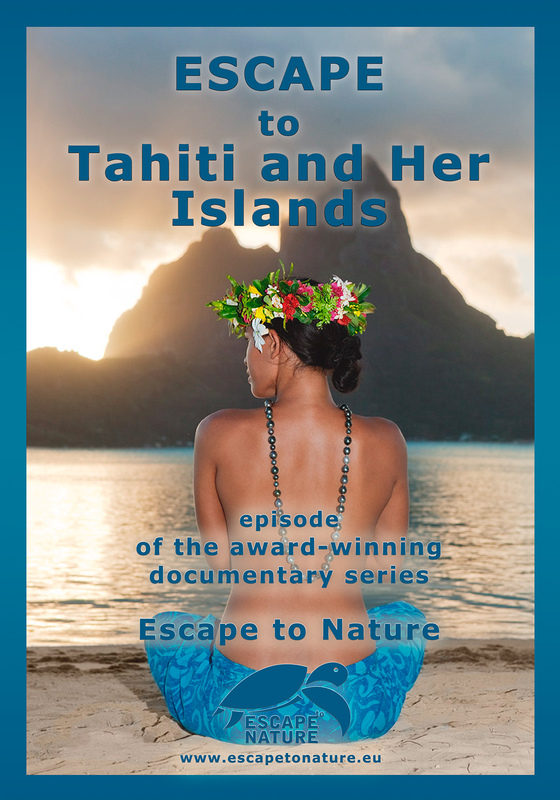 Episode 2 – The second from the “Escape to Nature” series of travelogue documents offers an unusual view of another one of the most beautiful places on Earth; The Society Islands of French Polynesia. What do the islands, which already two hundred years ago were renowned for their spellbinding nature, magic rituals and dances full of unbound passion look like today? Do the mysterious rituals exist in the 21st century or are they but shows for the tourists? Have the natives retain their connection with the nature which has been to them the source of deep understanding for centuries? The fabric of stories experienced by the creators of the Escape is interwoven with threads of interconnectedness and accompanied by pictures both on land and under the sea. Exciting meeting of the authors with intelligent sharks brings doubts into the myth about blood thirsty predators and the document depicts unforgettable moments from the first encounters with these masters of the deep. Sharks, just like the sea turtles have survived hundreds of millions of years to find themselves on the brink of extinction thanks to men. Poetic moments, as well as the action shots of predators often coming close enough to touch, bring up many own associations and feelings in the viewers. Number of side topics support the pivotal idea of the document and speak to a broad section of the audience. Harmonious blend of picture, music and commentary offers an unusually intimate experience. The Escape to Tahiti takes a viewer gently yet firmly through the respectful visit of the beautiful temple of the Mother Nature. 52″ documentary travelogue about the Society Islands of French Polynesia is focused on environmental and observation projects of marine wildlife, nature protection, history, natives, ancient customs and our photographic work.